In terms of your public appearance and how people perceive you, missing a tooth can be a major problem. It can be uncomfortable and embarrassing to have a gap in your smile. But besides putting a hole in your appearance, losing a tooth is also a threat to your dental health. At Warner Lakes Dental, we are committed to improving your dental health, including saving your smile, looks, and bite from a lost tooth, or lost teeth. No matter what the cause, it is critical to replace any teeth that might be lost. A missing tooth means much more than a gap in your smile: it can have serious oral health and psychological effects down the line. #1. If you don’t, teeth can loosen and shift. When all your teeth are in place, lined up in a row, they can keep each other orderly and stable. If you’re missing a tooth, on the other hand, you run the risk that teeth will shift into the gap, leading to changes in your bite, potential gum disease, possible tooth decay, and more difficulty in replacing the missing tooth later. #2. Your face could change. The loss of teeth can cause your mouth to shift, with the unfortunate effect of making your face look older. All the parts of your face are interrelated, so the loss of just one tooth can cause the bone to deteriorate and muscles to droop. Replacing a missing tooth helps keep other teeth in place, ensuring your face doesn’t change dramatically. #3. It may affect your mental health. If you’ve ever lost a tooth, you may remember how strange it feels, how difficult it can be to chew with a gap in your teeth, and the negative reactions that it can bring from some others. While this discomfort may be temporarily endurable, it can grow irritating in a very short time. A missing tooth may also affect your speech patterns, which can lead to a loss in self-confidence. #4. TMJ disorder. The muscles that assist in jaw rotation and chewing are the temporomandibular joints or TMJ. Alterations to these muscles and interrelated systems can result in severe physical pain. One alteration that can cause TMJ disorder is tooth loss and lack of replacement. TMJ disorder can be diagnosed and treated by Warner Lakes Dental Brisbane, but the best treatment is always prevention! #5. Communication and nutrition deficits. Missing teeth can impair speaking and eating. This can result in reduced or clumsy nutritional intake and communication. If you have a missing tooth, Warner Lakes Dental Brisbane can help you choose an appropriate treatment. But act now to restore your healthy, beautiful smile. The quicker you take action, the quicker you can smile and chew with confidence. 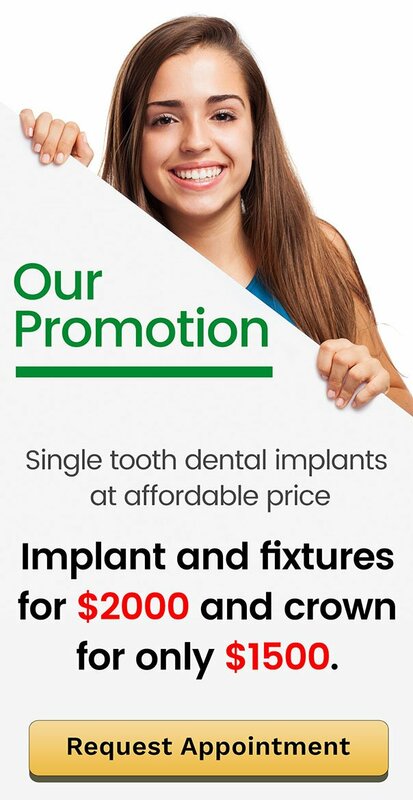 Tooth implants. Tooth implants are the optimal answer to missing teeth because of the way the implant imitates a natural tooth root. Dental implants prevent natural teeth from shifting out of position which helps ensure your bite is correct and there is no movement. The titanium post fights bone loss by giving the stimulation needed to keep your jawbone strong and healthy. Dentures. Dentures are removable dental appliances, which are designed to look like your natural teeth. Partial dentures are called for if natural teeth remain. Complete dentures are called for if all of your teeth are missing. Dentures can be conventional dentures or immediate dentures inserted the same day teeth are removed. Dentures are durable and can last for many years, but they do only have to be remade, repaired or adjusted due to normal wear. Bridges. Dental bridges, anchored by crowns, fill the gaps left by missing teeth. A dental bridge lasts for many years and can help fight bone resorption, tooth shifting, and difficulty eating. 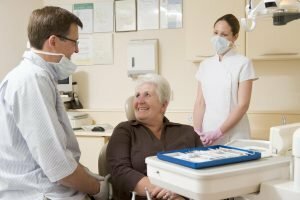 Dental Implants in Warner Lakes: Should You Shop Around?